The Westgrove Group has been accredited as a Living Wage Service Provider. Westgrove, which employs over 1000 security, cleaning and customer service colleagues across the UK will recommend to its Partners that those colleagues are paid the higher wage rate of £9.00 per hour. Claire McKinley Smith, Managing Director of The Westgrove Group, said: “We are proud to have been accredited as a Living Wage Recognised Service Provider. “We believe strongly in the importance of looking after all our people from apprentices through to members of staff who have been with us for more than 20 years. The Living Wage is an hourly rate set independently and updated annually. It is calculated according to the basic cost of living using the ‘Minimum Income Standard’ for the UK. The Living Wage enjoys cross party support, with public backing from the Prime Minister and the Leader of the Opposition. The principle behind the Living Wage is that work should bring dignity and should enable families to enjoy the essentials of life. 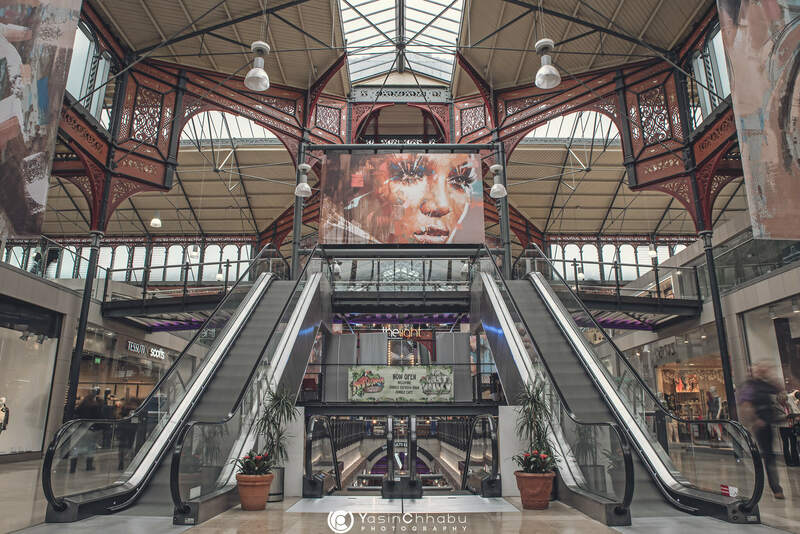 The Westgrove Group specialises in providing security, cleaning and security services in high footfall destinations from shopping centres, airports and corporate businesses to retail environments across the UK. The Warrington based company, founded in 1998, has grown considerably in the past two years and is on target to turnover £40 million in the next five years. Facilities management specialist Westgrove Group has recorded another year of strong growth. The Warrington based company saw turnover rise from £20 million to £25 million – and profits increased by almost 30% – in the 12 months to the end of December 2018. The colleague centric business also added a further 200 to its workforce. It says it remains firmly on course to become a £40 million turnover business in the next five years and has exciting expansion plans forecast for the South UK later this year. Westgrove provides its security, cleaning and PRM (Persons with Reduced Mobility) services to shopping centres, corporates, business parks and airports across the UK. Recent successes have included the launch of a Specialist Cleaning Division and a move into aviation, providing cleaning and PRM services to two regional airports. Westgrove were appointed by managing agents CBRE to provide the security for Birchwood Park in Warrington, the region’s leading out of town business location. They also enjoyed a number of new contract wins in Bracknell, Bristol, Liverpool, Dagenham, Swansea and Leamington Spa. The company, which recently celebrated its annual Reward and Recognition Awards at The Village Hotel in Warrington, was recently shortlisted in the Finance Awards North West and has just been accredited as a Living Wage Service Provider. Westgrove, which celebrated its 20th birthday by climbing Ben Nevis for charity, has also appointed its first Mental Health First-Aider. Claire McKinley Smith, Managing Director of The Westgrove Group, said: “We are always striving to improve the business and to grow through innovation, quality of service and by recruiting the best possible people. Over 50% of Westgrove’s clients are based in the south of England. The company will be announcing exciting expansion plans for the southern region later in the year. We have appointed our first site based Mental Health First-Aider. We are working with one of our key partners, Market Place Shopping Centre in Bolton, to champion awareness of mental health. Following a very successful mental health awareness week in 2018, Changing Minds, the Centre and Westgrove worked together to train over 80 staff in mental health awareness. Following the training, a member of the team, Paul Ogden, one of the Centre’s Guest Service Ambassadors, took on the role as mental health champion. Paul is now available to offer support and advice to vulnerable customers visiting the Centre as well as to the Centre’s tenants. As part of his training, Paul completed a mental health first aid course through St John Ambulance, the nation’s leading first aid charity, and a NCFE CACHE Level 2 certificate qualification in Mental Health Awareness. Nikki Wilson-Cook, Centre Manager of Market Place said: “With mental health in the workplace being such a burning issue nationally, we are proud to be setting an industry precedent with the introduction of our first Mental Health First Aider at Market Place. The Westgrove Group, based in Warrington, specialises in providing security, cleaning and security services in high footfall destinations from shopping centres and corporate businesses to retail environments. Claire McKinley Smith, Managing Director of The Westgrove Group, said: “As a company, we take mental health extremely seriously so we are very proud to be one of the first facilities management companies in the UK to appoint a mental health first-aider. 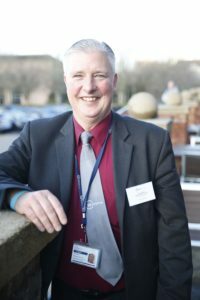 “We are fully on board with the ‘Time to Change’ campaign, supported by many UK businesses, to take mental health more seriously in the work place as we believe that mental health needs to be given the same weight as physical first aid. “Since starting in the new role, Paul has rolled out his training to the Westgrove team onsite and to the tenants within the Centre. The Westgrove Group was founded in 1998 by Group Chairmen Simon Whittle and Steve Fives. Based in Warrington, North West UK, it employs over 1,000 colleagues across the UK and has an annual turnover of £25M. Fast growing facilities management specialist Westgrove Group will increase revenues by over 30% this year. A WordPress Commenter on Westgrove flies into New Sector with Airport Win! © Westgrove Group. 940 Lakeside Drive, Centre Park, Warrington, WA1 1QY. Tel 01925 414190. Westgrove Group, trading as Westgrove Support Services Ltd and Westgrove Cleaning Services Ltd, which are registered company’s in England. Registered address is 940 Lakeside Drive, Warrington, WA1 1QY. Registered numbers are 9215403 for Westgrove Support Services Ltd and 3599280 for Westgrove Cleaning Services Ltd.